This custom infographic was designed and produced by Kelton’s Communications team. Kelton designs consumer surveys to help brands and PR agencies generate compelling headlines for media outreach and internal communication. Our studies are expertly crafted to give you the best headlines in mind, and our infographics illustrate the most newsworthy findings from your study, garnering maximum media attention. This particular study was conducted for Kelton’s promotional use and is just one example of our infographic design capabilities. Learn more about Kelton’s Communication + PR Survey offerings here. Thanks for downloading. 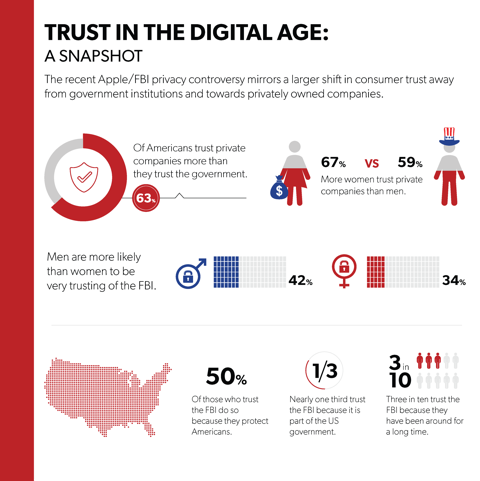 Click below to access your Infographic, "Consumer Trust in the Digital Age"